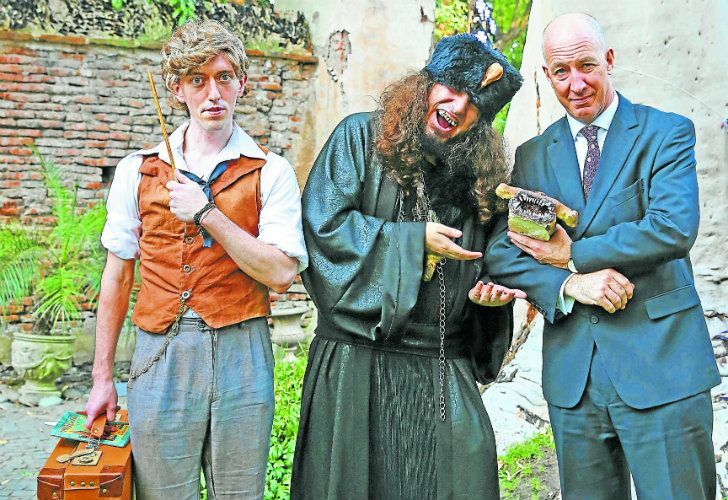 More than 2,000 Potter-loving porteños flock to British Ambassador’s Residence for event celebrating J. K. Rowling’s creations. 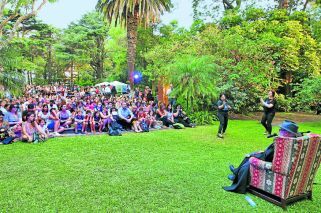 As dusk fell over the verdant gardens of the British Ambassador’s Residence in Buenos Aires, the lawn grew increasingly crowded. Many were dressed as the average Argentine might be, but others seemed to come from a different world entirely. They had funny names like Gellert Grindelwald, Pomona Sprout and Quirinus Quirrell. Dozens wore long black robes and tall pointed hats, or carried thin wooden wands. Many sported the colours of their favoured house in the Hogwarts School of Witchcraft and Wizardry. In front of the steps leading up to the Ambassador’s Residence, spotlights illuminated several presentations: author Leo Batic read the prologue of Fantastic Beasts and Where to Find Them, J.K. Rowling’s guide to magical creatures, and the space later hosted a Harry Potter trivia contest, a game of “What’s that creature?” and a costume competition. Guests took photos with the Sorting Hat, Hagrid and on Platform 9 ¾. They perused book stands offering the Harry Potter universe and other English-language children’s and young adult books. In one corner of the lawn, quidditch players competed in an exhibition game and taught children how to play the game. 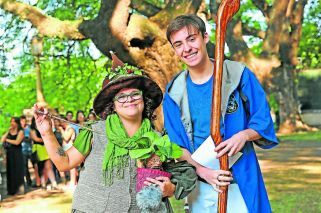 Martín González, 24, and Lucas Szykula, 21, both participated in the quidditch match through their Palermo-based team, one of six in the capital that make up part of the Argentine Quidditch Association. As the evening unfolded around him, British Ambassador Mark Kent stood back and watched with a satisfied smile. Kent estimated over 2,000 people attended, the highest attendance yet in the event’s short history. Half an hour before the event was scheduled to close (it was officially advertised as running from 6pm to 9pm) a long line still snaked around the block outside the gates. As the organisation has done every year, the Argentine British Community Council offered snacks and refreshments in one corner, for which all proceeds will go to charity. Jimmy Bindon, the 65-year-old president of the ABCC, has seen firsthand how the popularity of the event hosted by the British Embassy has grown over time. Buenos Aires natives Daniela Marmolini and Eliana Iñiguez are perfect examples of that. Though they’re now adults, both are still unabashedly huge fans. “We didn’t know what to expect,” Iñiguez said about the event. Neither had visited the Embassy or the Ambassador’s Residence before but knew the gardens were beautiful by reputation. Between that and their passion for Harry Potter, attending was a no-brainer. Visitors in a different age bracket also gave the night full marks. Olivia Hermosa Mursi, a 13-year-old self-described ‘Harry Potter super-fan,’ was attending with her family for the first time. Speaking before the cosplay contest had finished, Olivia said her favourite to win was Professor Sprout. 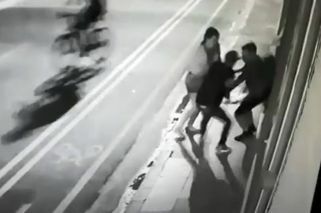 The judges agreed. Second place went to Molly Weasley and third to a hippogriff and executioner pair. Ambassador Kent said he sees the Embassy’s Harry Potter Book Night as something greater than just a celebration of a popular fiction series. Though he’s not a passionate Harry Potter fan himself (“I’m stuck in the wrong generation”), Bindon, the ABCC president, also believes the event holds greater significance.